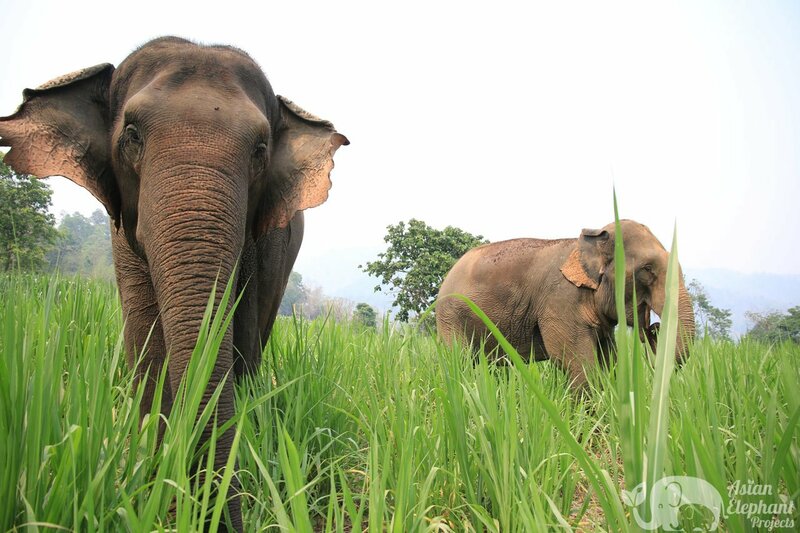 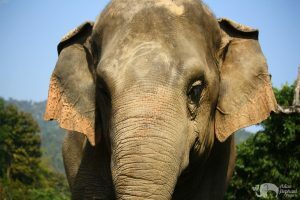 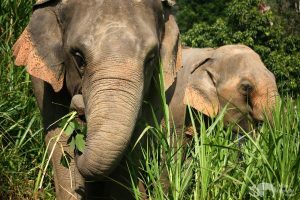 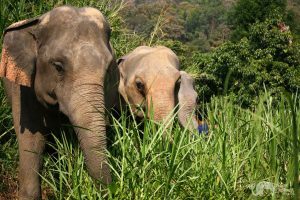 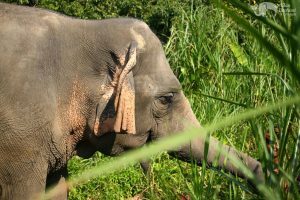 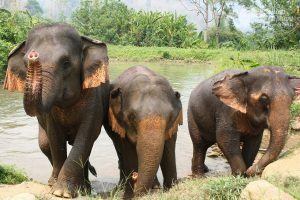 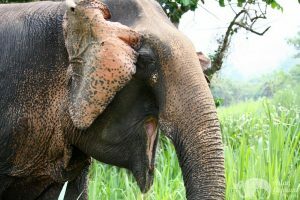 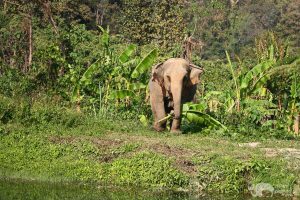 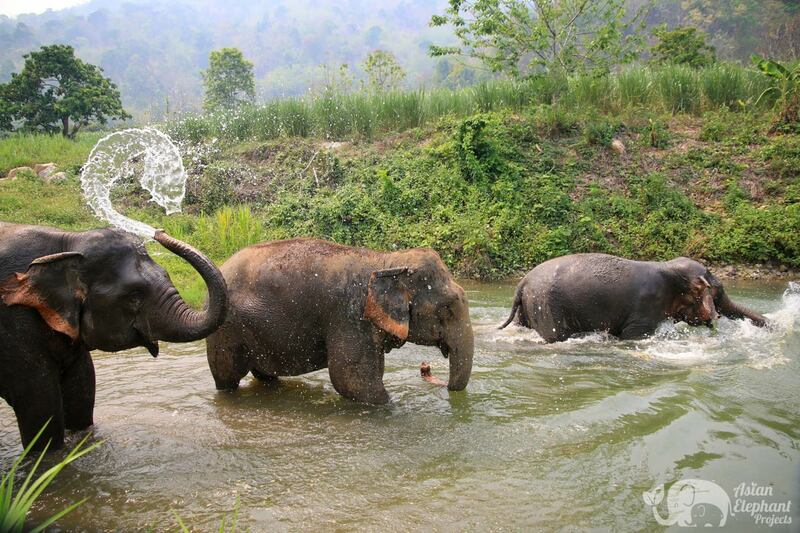 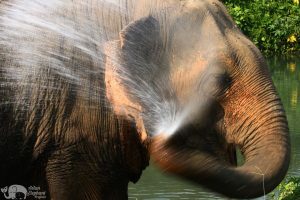 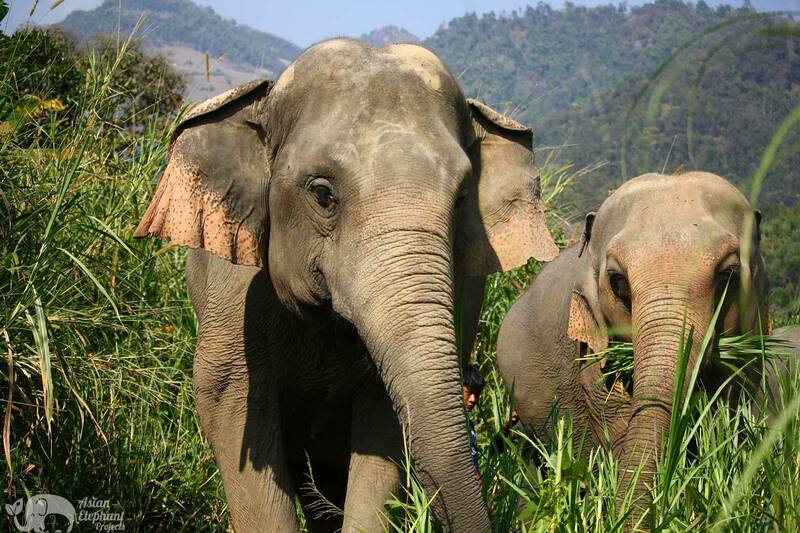 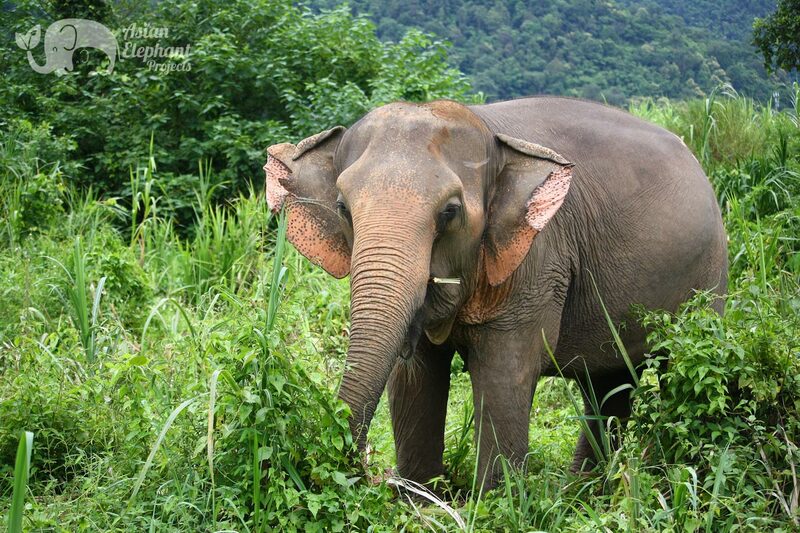 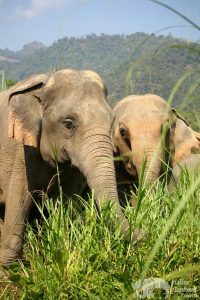 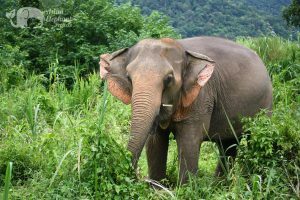 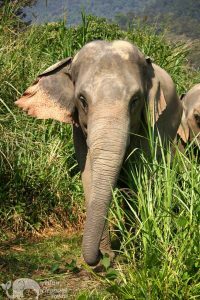 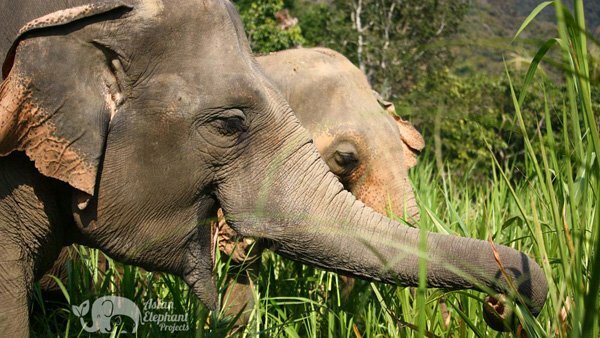 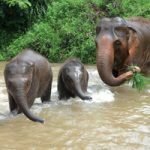 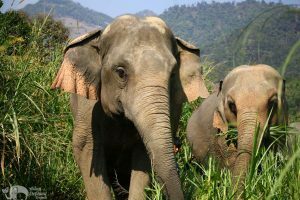 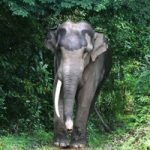 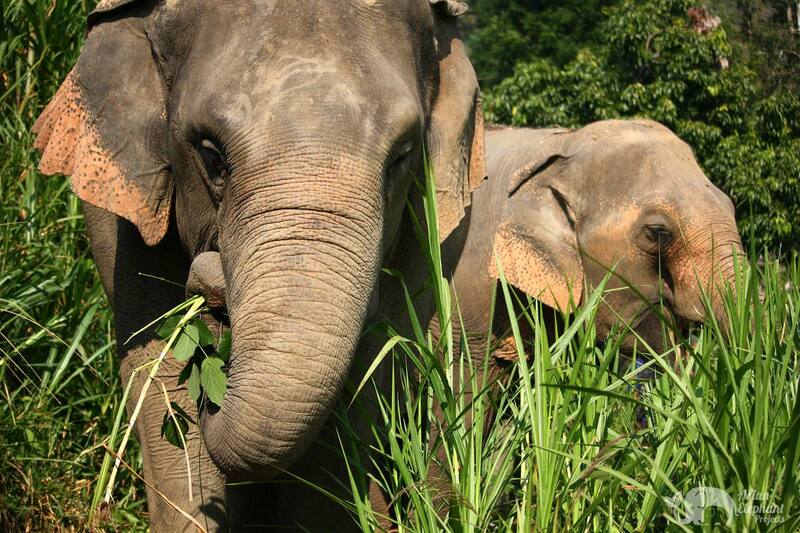 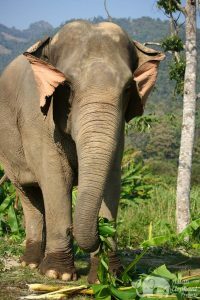 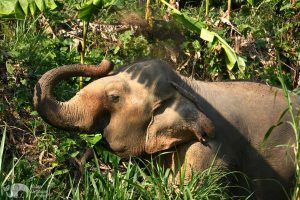 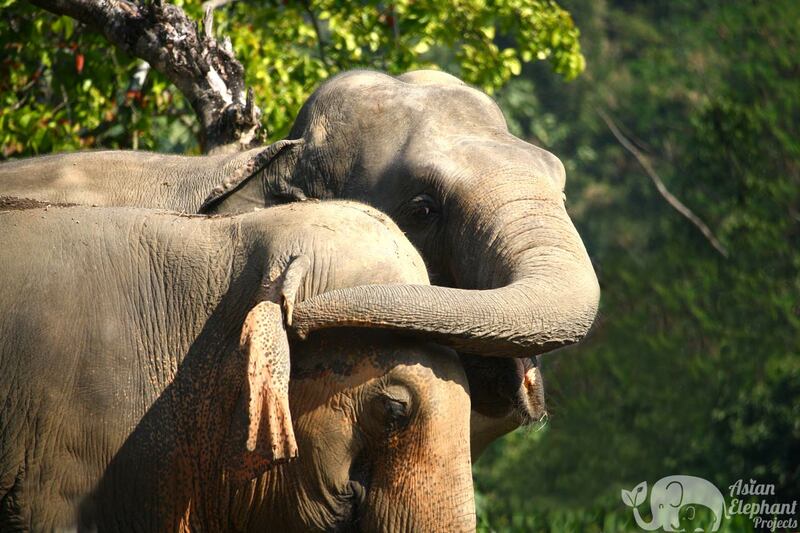 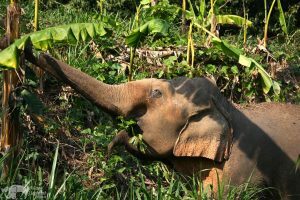 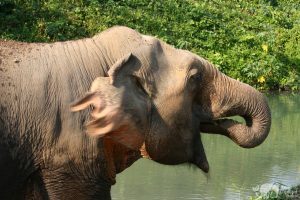 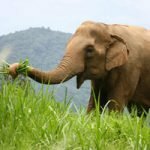 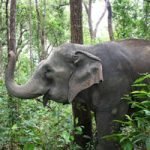 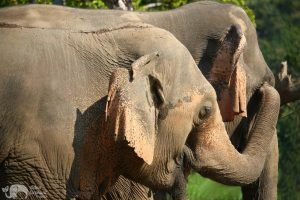 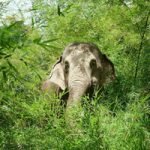 This elephant sanctuary, about an hour and a half from Chiang Mai city, provides a caring home in nature to three beautiful, good-natured female elephants. 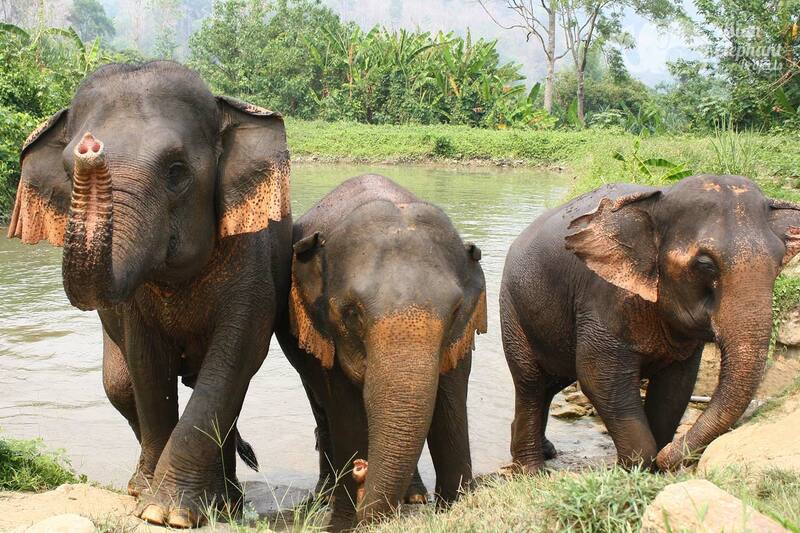 Bo Ja, Mae Boon Theung, and Mae Si Jaan have been free of the saddle for three years now, and are in excellent health. 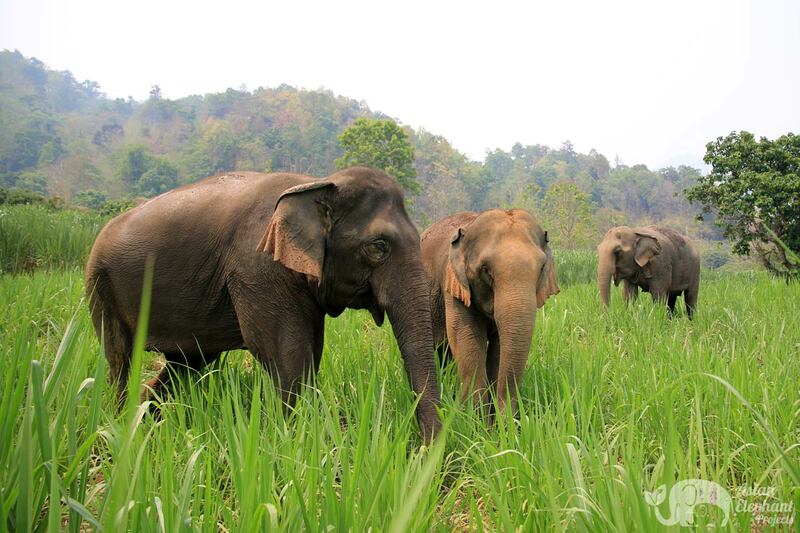 Watching them socialize and forage, it quickly becomes obvious that they are very much enjoying life at the project. 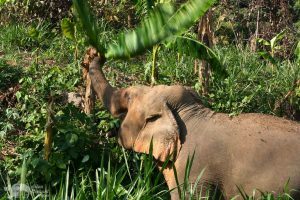 After changing into traditional Lanna clothing, guests get acquainted with the elephants while feeding them fruit and vegetables, and then join them on a one hour trek through the forested mountain trails, feeding them along the way. 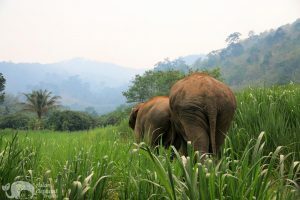 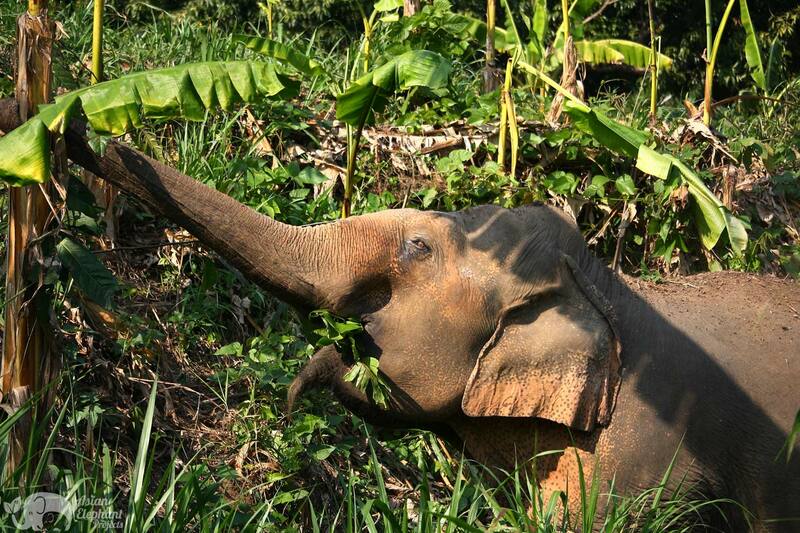 The pace is relaxed, and the elephants will stop from time to time to forage on native plants as they amble along. 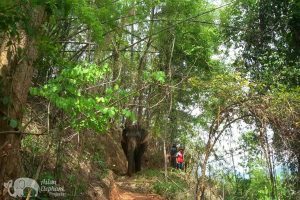 In the rainy season, the jungle paths may become too muddy and slippery, so instead, the walk will follow nearby grassy trails dotted with wild banana trees. 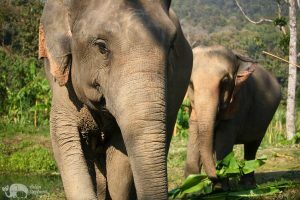 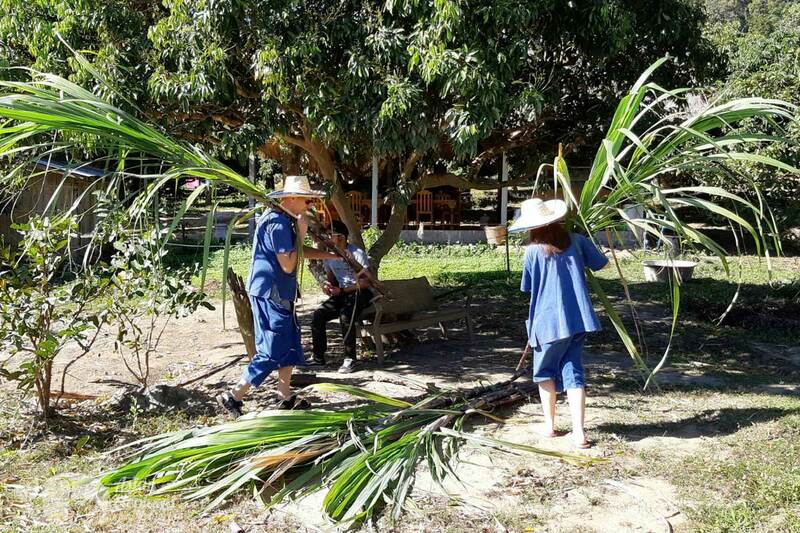 Upon returning from your walk, a vegetarian buffet lunch will served, after which you will be shown how to make healthy snacks for the elephants consisting of a medicinal vine, sticky rice, tamarind, and salt to be set aside for later. 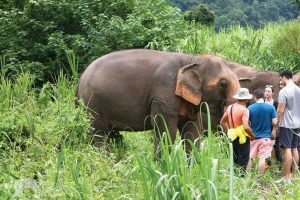 Next, it’s time for the elephant’s spa treatment, where they will enjoy being scrubbed with a traditional Northern Thai vine that has been specially prepared. 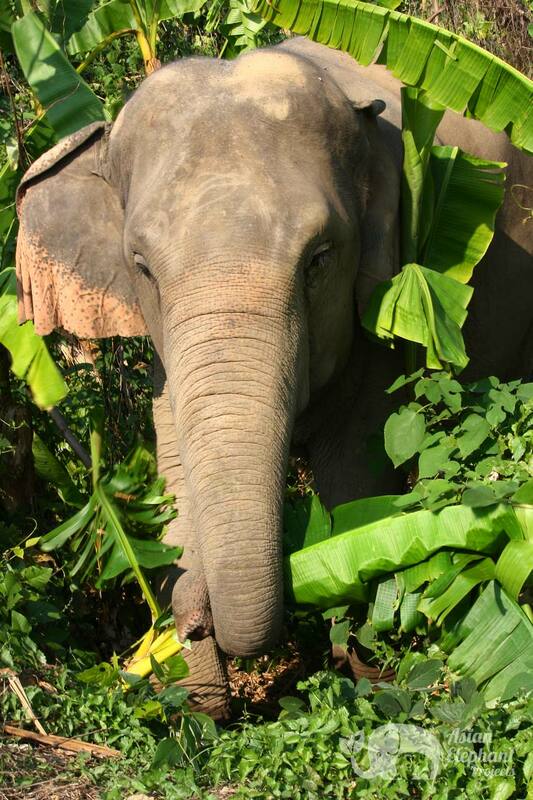 The vine helps to keep their skin healthy and protect it from insects. The tour ends with handing the tamarind-rice balls to the appreciative elephants. 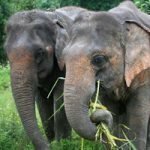 By joining this project you are helping to support ethical elephant tourism and provide a better life for elephants in Thailand. 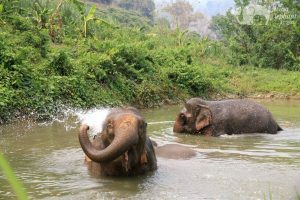 The activities offered are sympathetic to natural elephant behavior, giving them the freedom to socialize and forage, while at the same time offering guests a meaningful and educational encounter with these remarkable animals. The elephants are not coerced to do anything that they don’t want to and in the cool season they may not be keen to take a bath. 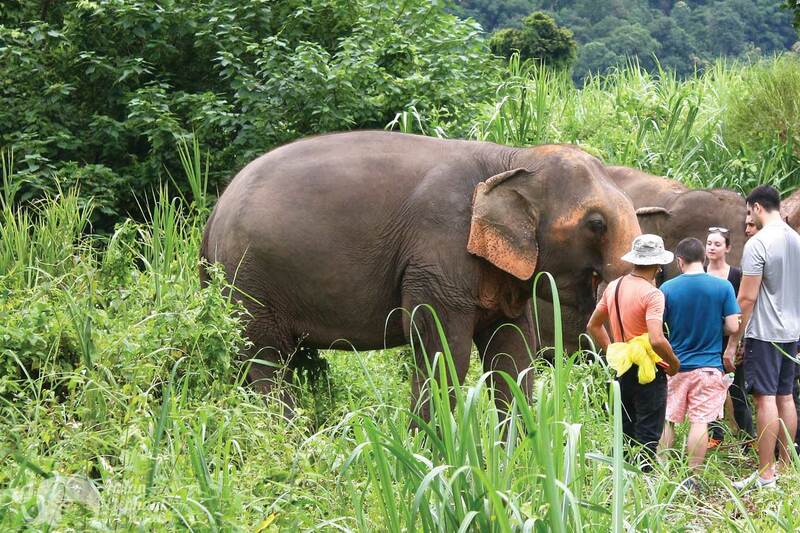 Travel Details: Transfer from air-con minivan to 4WD pickup for the last 10 minutes of your journey to the project. 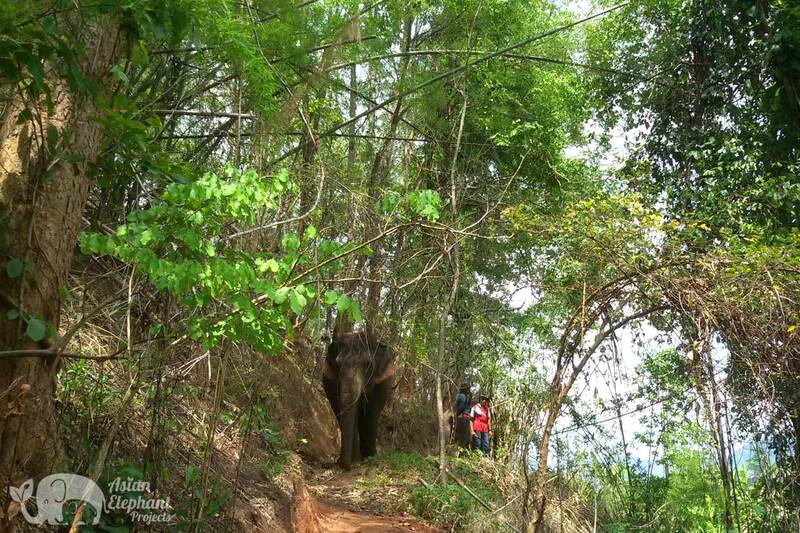 Fitness Level: Moderate – walking along forest trails with some steep sections, including steps. Topography: Forest, grassland, hillside & pond. 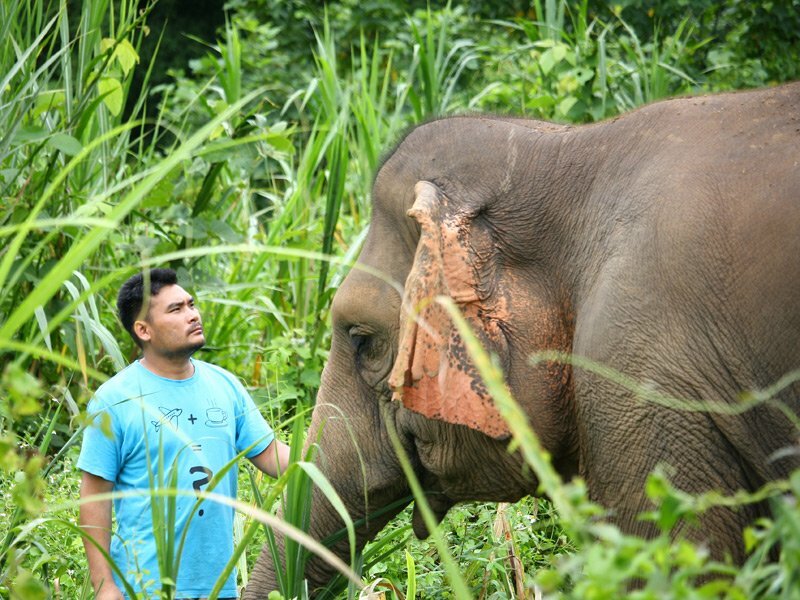 The owner of this project, Tak, grew up around elephants on the family property. 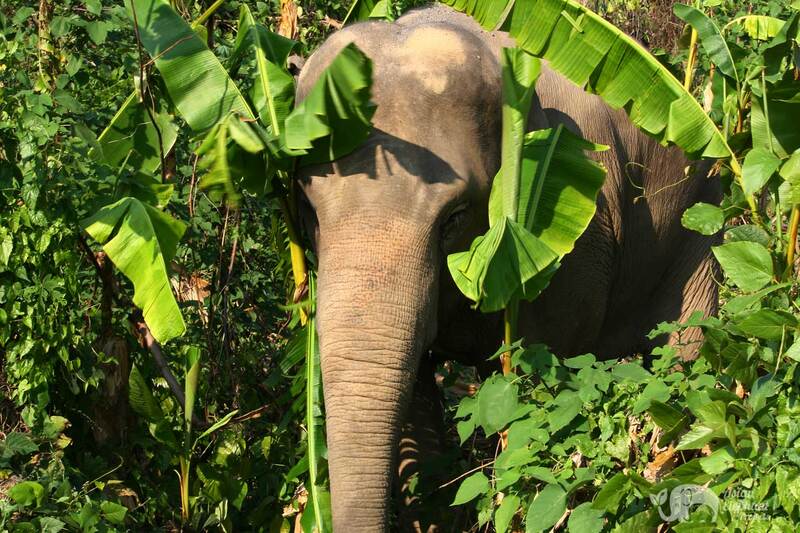 His parents owned elephants and he was endlessly fascinated by watching them. 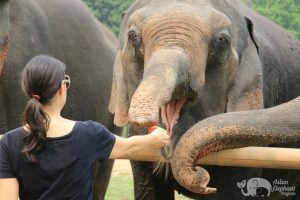 He felt sad when he saw elephants performing in circuses and was uncomfortable with how unnatural it was for elephants to be performing tricks for people’s amusement. 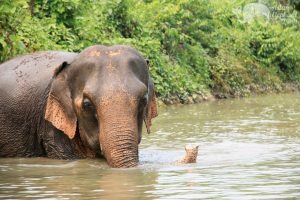 Tak was drawn to the ‘Saddle Off’ concept when he heard about it and Elephant Wellness was opened in December 2017 on his ancestral land. 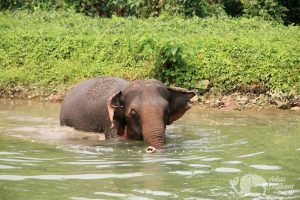 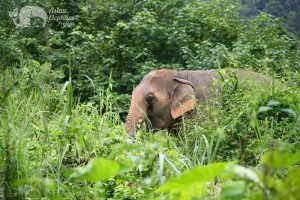 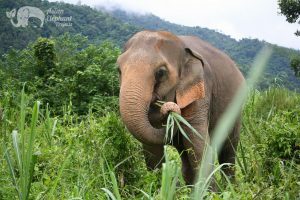 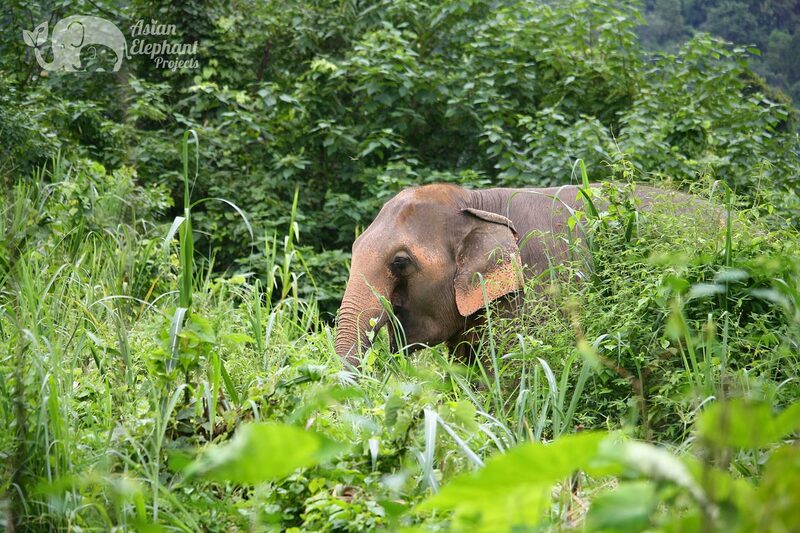 There are currently three elephants at the project enjoying their retirement from logging and elephant riding and Tak enjoys seeing their spirits awaken in their newfound freedom. 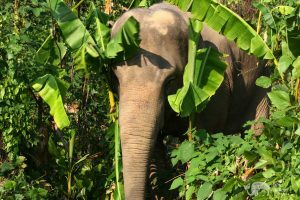 At the project, they grow medicinal plants to treat the elephants to ensure a healthy digestive system and to protect their skin from insects. 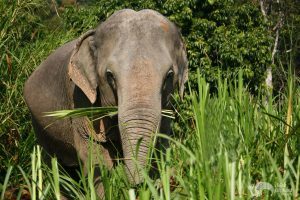 To provide for the elephants they also grow grass and bananas on their land using the elephant dung as fertilizer and buy fruit and vegetables from neighboring farmers. The elephants here have plenty of time to forage in the jungle, eating native bamboo, leaves, tree bark, and wild root vegetables.